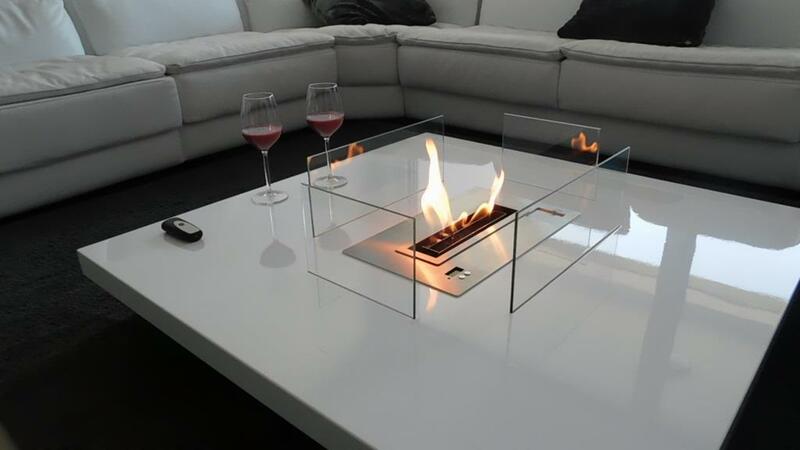 Coffee table fireplace LOU: along with the sofa, the coffee table is the crucial element in your living room. AFIRE has designed a collection of coffee tables with integrated ethanol burners that adapts to your deco style through its forms, its materials, its finishes, and its colors. 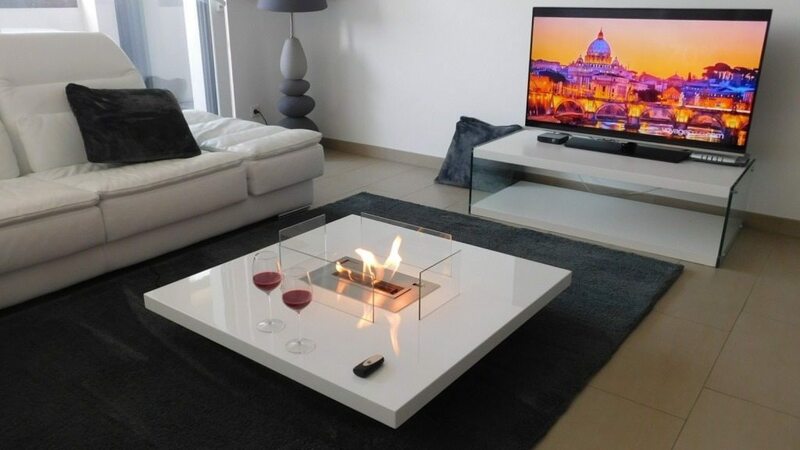 No ducts, no smoke, no constraints, where Bio-Tech and dreams meet, coffee table fireplace with integrated bioethanol burner is modern and design, decorative and ingenious. Just press the remote to start the fire! The coffee table and the fireplace are natural spots for conviviality. 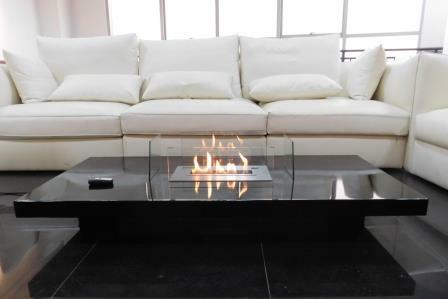 The LOU tabletop fireplace range brings a touch of warmth and dynamism to your interior. Here, we are then talking about actual decoration. The LOU coffee tabletop fireplace is a real deco creation, it sets the tone and creates the atmosphere of your living space It gives you the opportunity to enjoy a coffee or a cocktail with your family and friends around the fire. Mankind dreaming at his fireplace becomes imaginative. The natural warmth and beauty of a clear solid veined wood, treated with the most modern techniques, emphasizes the visual and tactile qualities of wood. The meeting of technology and nature.